Like Walt Whitman, Thomas Merton contained multitudes. Poet, Trappist monk, religious philosopher, translator, social critic — the late Thomas Merton (1914-68) was all these things. Yet until now, no single selection from his great body of poetry has afforded a comprehensive view of his varied and progressively innovative work. 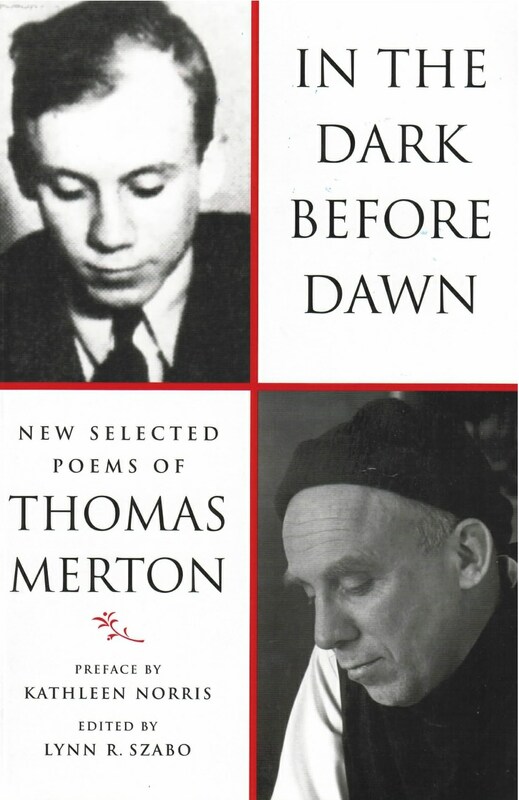 In the Dark Before Dawn: New Selected Poems is not only a gathering double the size of Merton’s earlier Selected Poems (1967), it also arranges his poetry both thematically and chronologically, so that readers can follow the poet’s many complex, interrelated lines of thought as well as his poetic development over the decades. “His genius,” writes editor Lynn R. Szabo, “was to create an artistic vision fueled by the conflict between his calling as a writer and his vocation as a contemplative.” She has grouped her selections under a number of themes, which taken together “represent seminal aspects of Merton’s engaging his inner and outer worlds throughout his life.” Included in this broad, new selection are most of the beautiful love poems (previously available only in a limited edition) that Merton wrote for a young woman to whom he had formed a brief attachment in the mid-’60s.